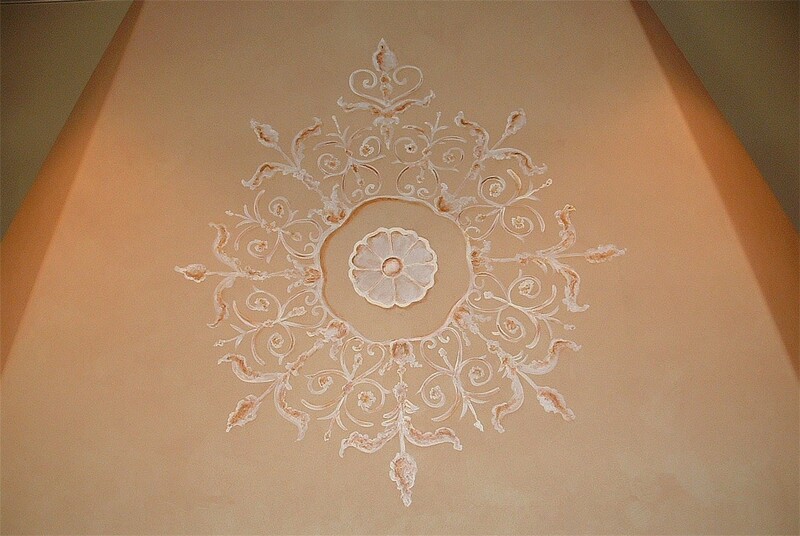 Dorry Wynham creates magical works of art to grace every building or home. 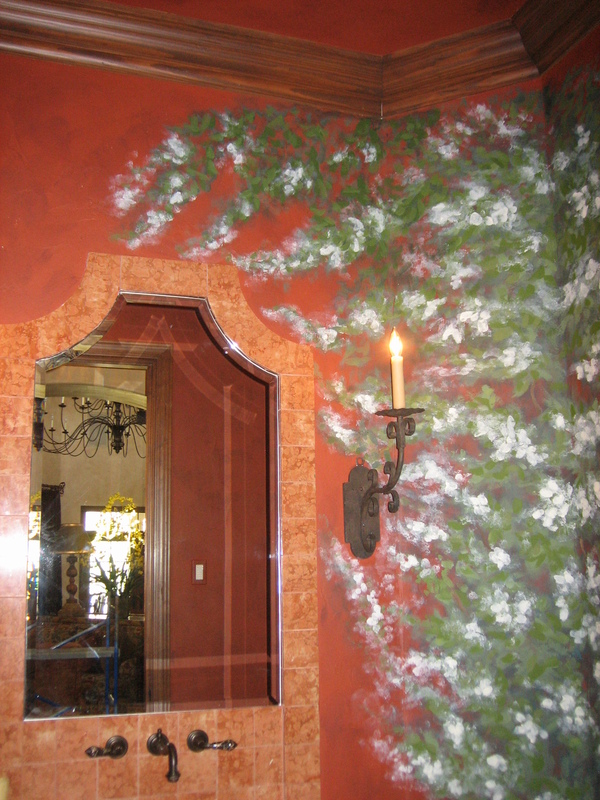 Using her fine art talents, Dorry creates murals, paintings and visual decor to homes and offices worldwide. 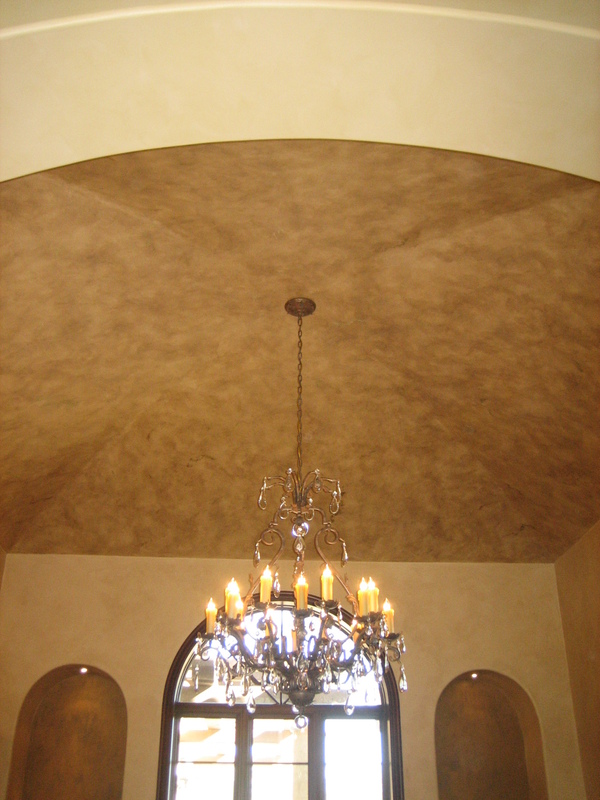 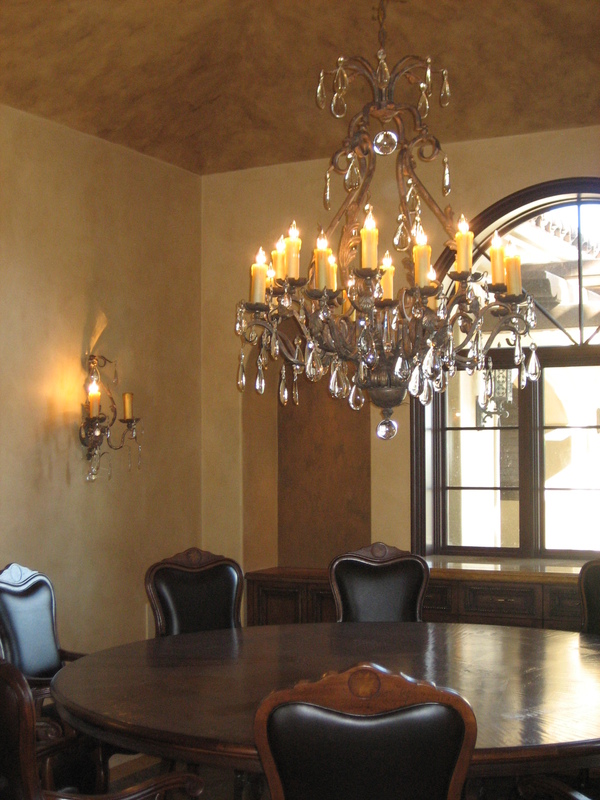 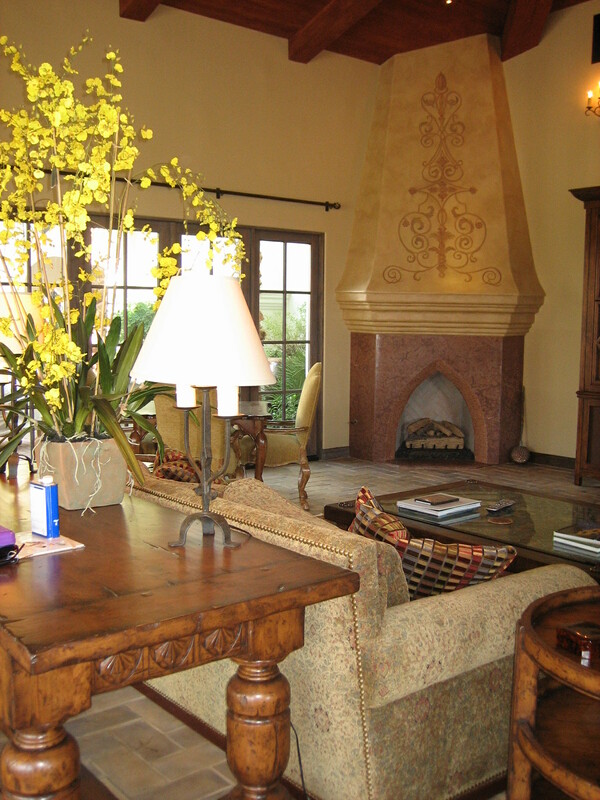 These clients provide Dorry with an opportunity to impact the entire interior and more of their beautiful home in La Quinta, CA. 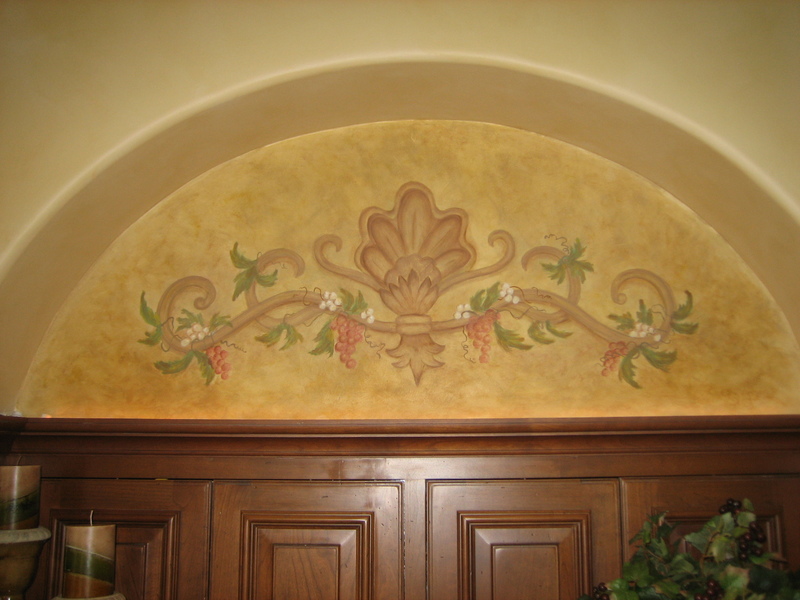 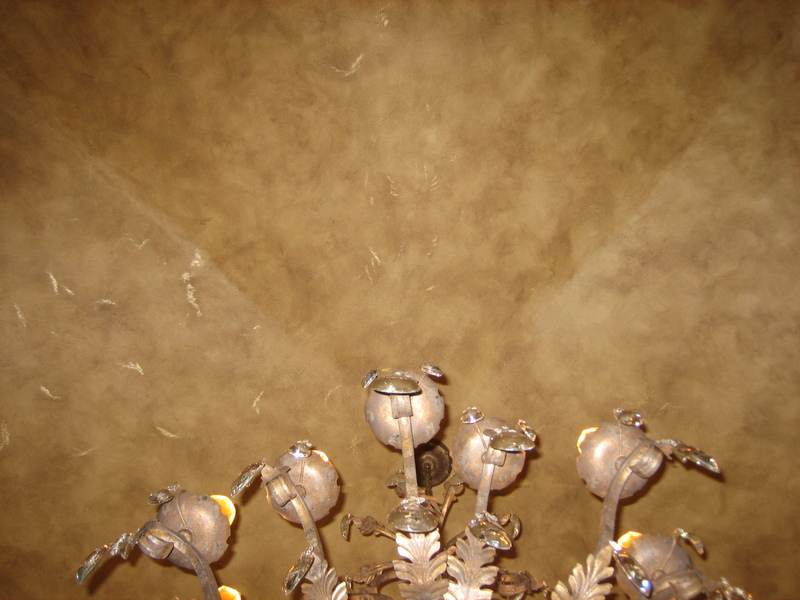 Engaged during the construction process of the home, Dorry first faux painted every horizontal and vertical service of the home with an antique Tuscan finish. 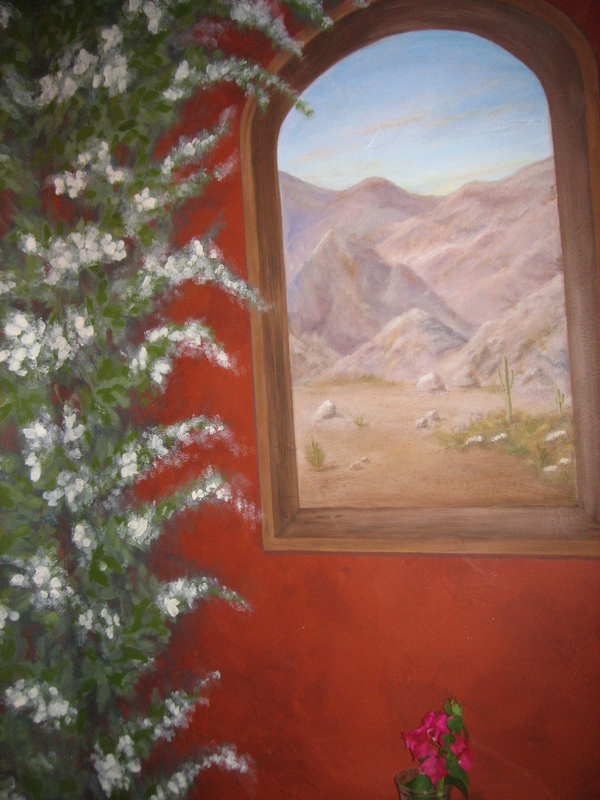 The guest bath was transformed into a bougainvillea shrouded garden, complete with arched window scape and a visit from the resident cat. 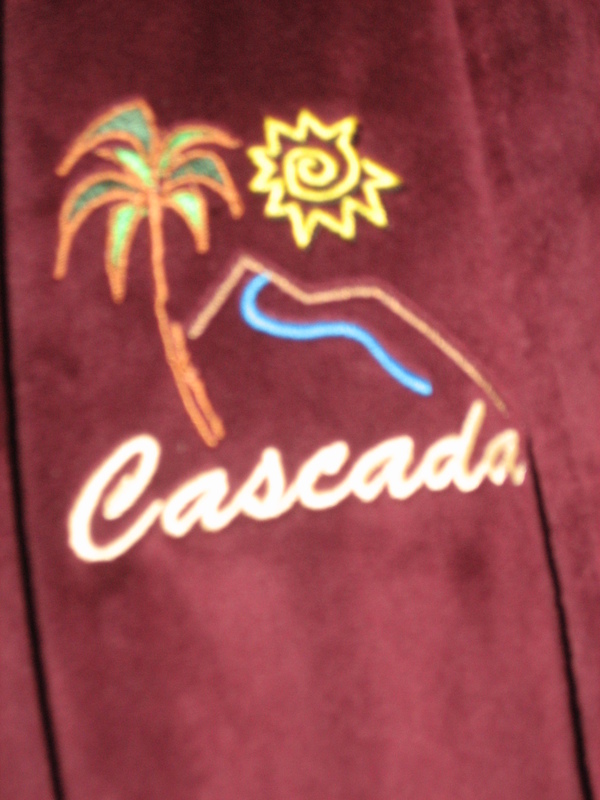 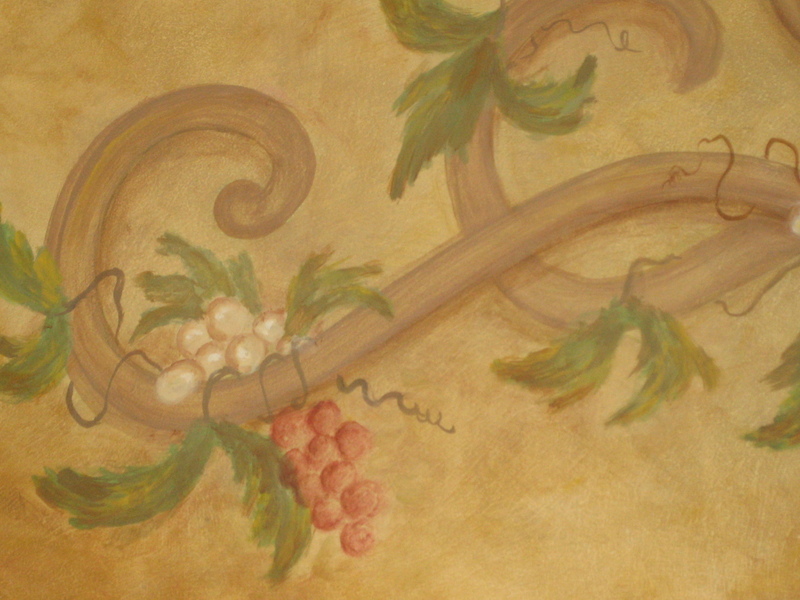 Whimsical motifs were created throughout the house. 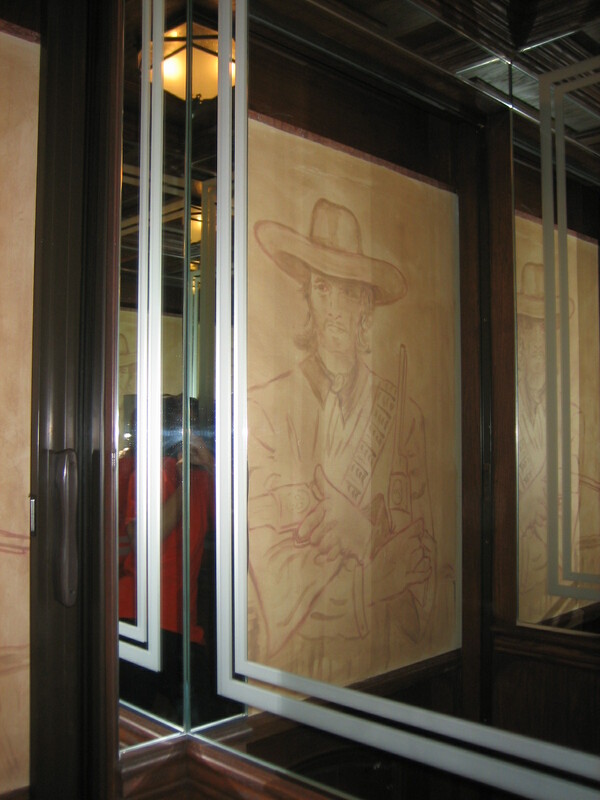 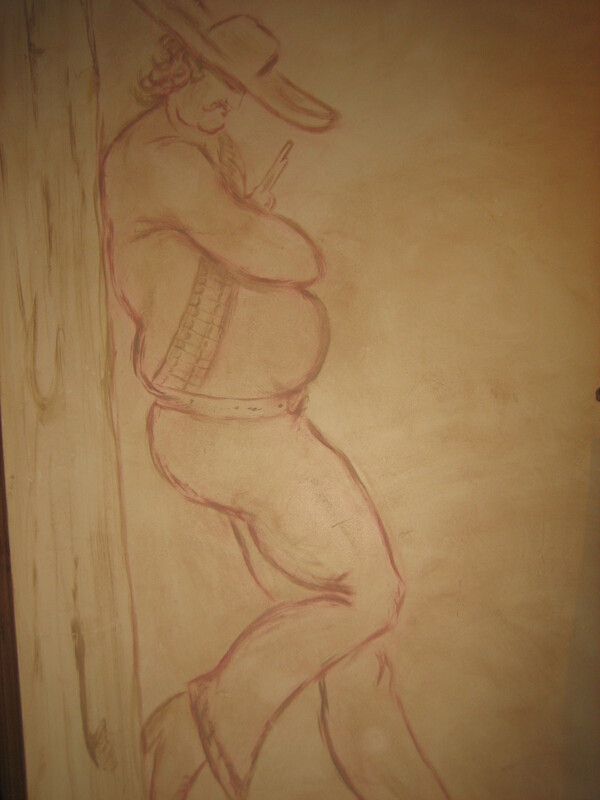 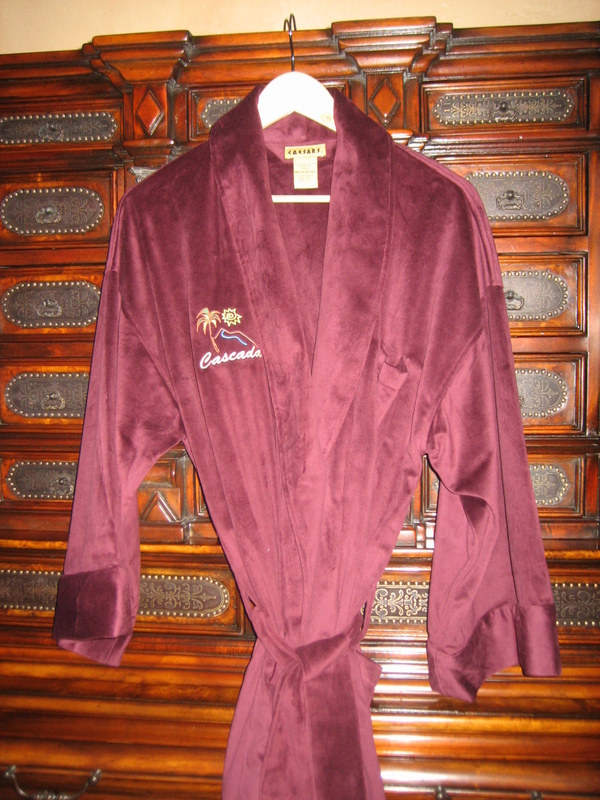 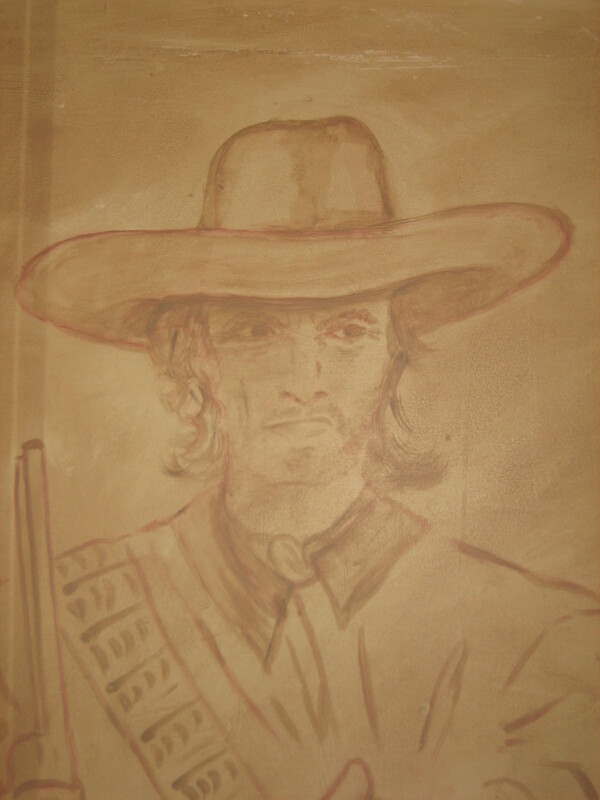 A sombrero clad bandit was painted behind a power room door, and a gun toting bandito was placed on the wall between the elevators, giving guests a chuckle as they descended to the game room. 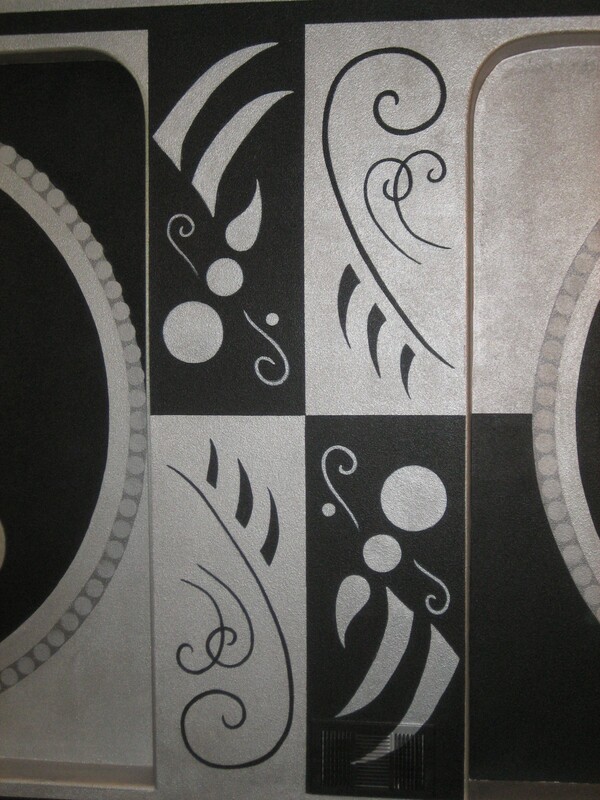 Dorry was also commissioned to design a logo for the house robes! 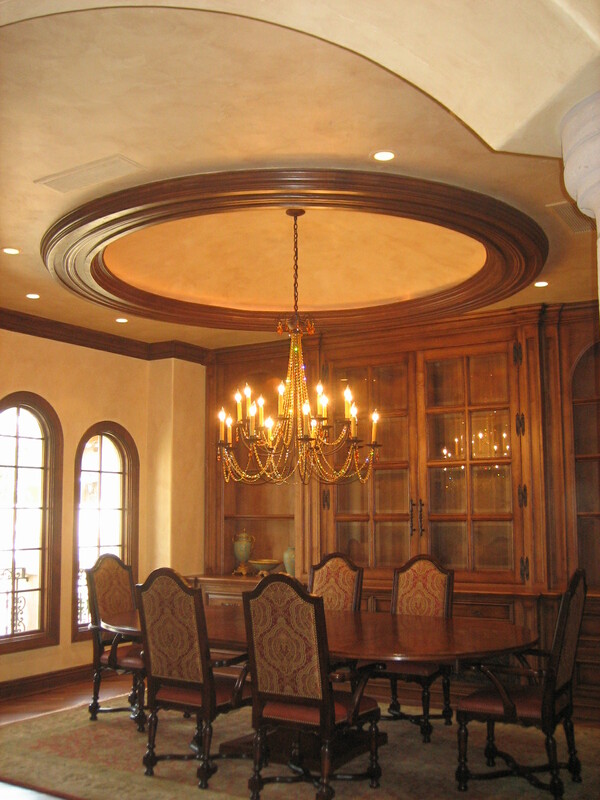 Commissioned to first create a golden ceiling for the dining room of this fabulous home, Dorry was then asked to design a floral motif for the kitchen hood. 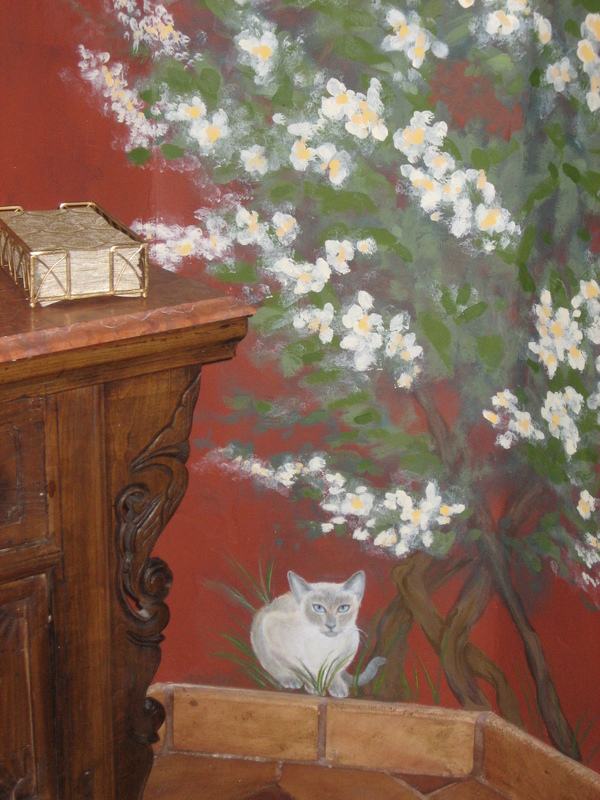 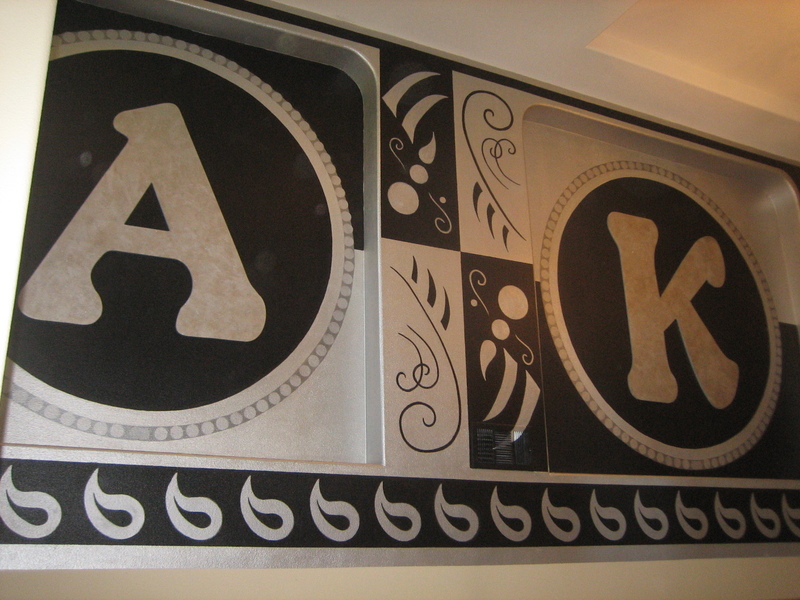 Iron scroll details were the inspiration for this nine foot mural painted on the fireplace in this family great room. 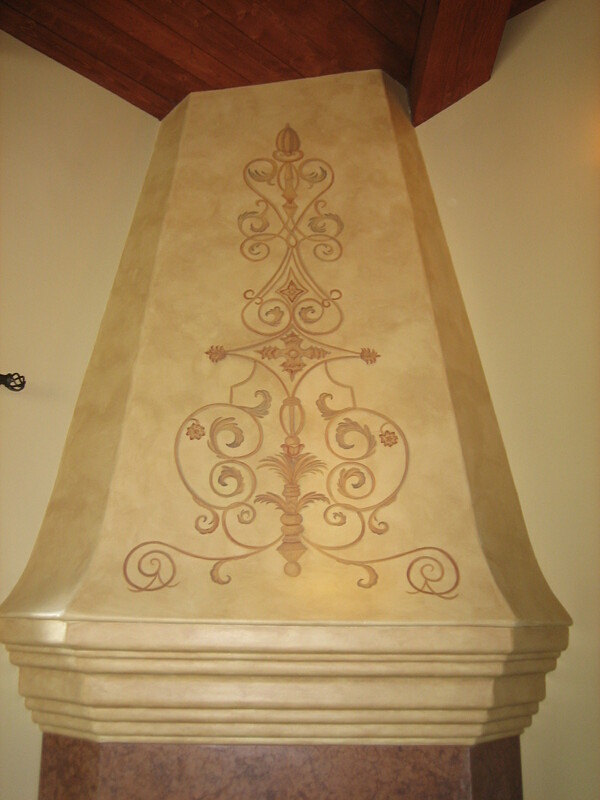 A delicate motif painted in white gave this kitchen hood subtle feel. 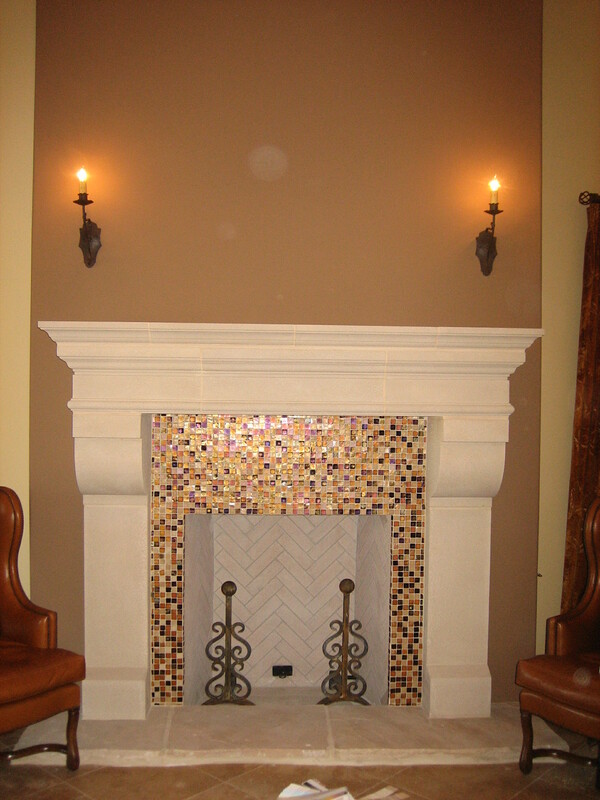 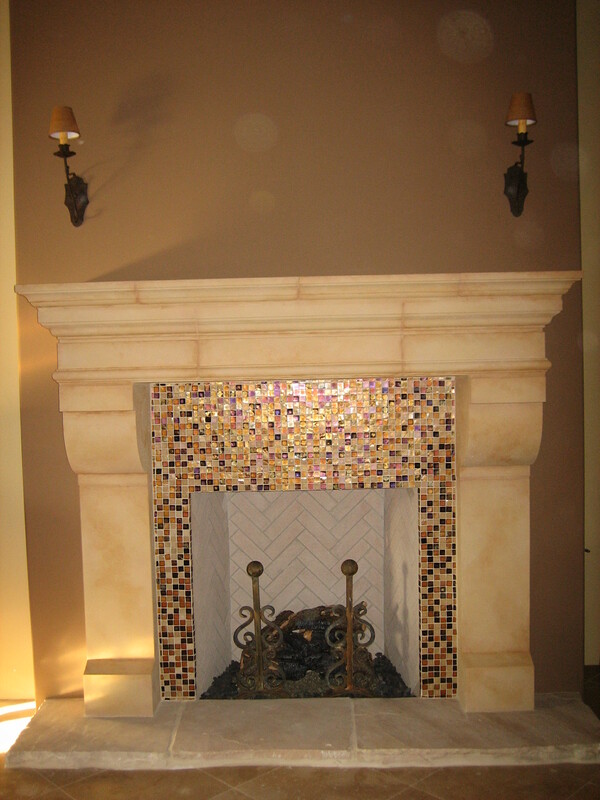 The original beige stone fireplace received a face lift with a marbleized finish.